JASPER --- It’s an environmental hazard. That’s what the Dubois County Commissioners are saying about a creek new East Cuzco Norton Road. 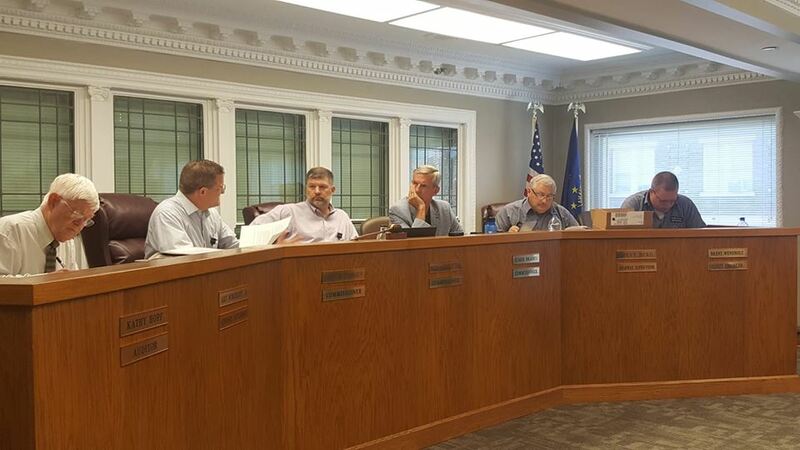 At Monday’s commissioners meeting, the county lawmakers voted to contact the DNR after a nearby landowner pulled out riprap and dirt and put it in the middle of the water. Riprap are stones used to repel water. They are commonly used in bridges and along riverbanks. The homeowner told the commissioners Monday he wants to protect his fields from rock and debris that are washed up during heavy rains. The county commissioners hope the DNR will get involved. If that happens, the homeowner could face stiff fines. The county plans on contacting the DNR today.